Mist can be one of the most incredible things, really bringing an ethereal look to scenes. 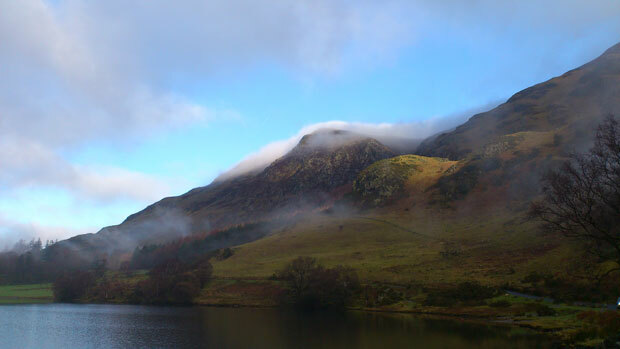 The picture below was taken in the Lake District in England at Buttermere Lake. The mist over the hills that day gave everything an almost 'Lord Of The Rings' magical look! In Isaiah 44, God was speaking to his chosen people, Israel. God promised to pour out his Spirit on his people, spoke of how worthless idols really are and cried out with longing to his people who he created. When we look and see the glory of God in creation, we can well understand God's call to creation to shout, to burst into song because of his redeeming of Israel (setting them free). He is saying the same to his church as he does to his people, Israel. He calls us and shines his light into our lives. As God speaks, the mist, the cloud and the fog has to disappear. As the sun comes out, the mist clears and burns away. 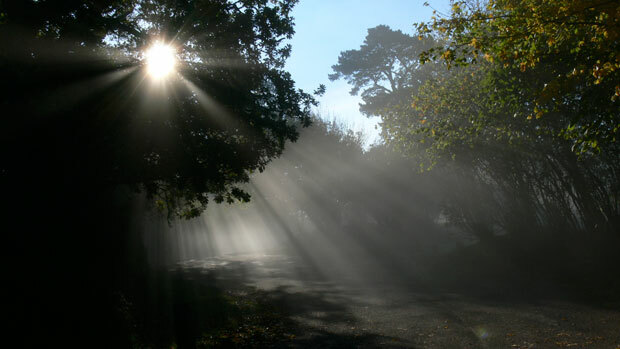 In the same way, God's light will guide us, lead us and burn away whatever is holding us back, just as the photo below from a viewpoint in Devon represents. Hebrews 12.1 talks of us throwing off everything that hinders us and running the race God has for us. Let's do that! James 4:14 - Why, you do not even know what will happen tomorrow. What is your life? You are a mist that appears for a little while and then vanishes. A Prayer: Lord, help me to make the most of my life. Help clear the fog over my life and anything that may be blocking your vision for my life. Help me run the race that you have set before me. Show me the vision you have for my life. I join with creation in singing and shouting praise to you. Thank you that you have set me free from sin and I present myself to you as a living sacrifice. Amen.